You have to scale the mountain to view the plain! 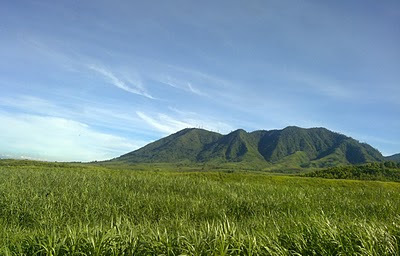 This is a photo of Mt. Manadalagan. The IT Guy and I took it in one of our road trips to Bacolod from Cebu. I have been an absentee in this blog and I don't have any other reason other than I was just too preoccupied scaling some heights...It is just so fun to be back with Wordless Wednesday!